Packaging Size (litre): 500ml, 1 Ltrs., 5 Ltrs. We are highly acknowledged organization engaged in presenting remarkable range of Cleaning Acid. CircoPremium SF is a highly efficient acid cleaner especially designed for one-phase cleaning of cooling tanks and milking equipment. It is a three-in-one product which cleans, decals and disinfects. Deoxid-130 : Derust and descales at ambient temperature duly inhibited for low ferrous metals attack. Deoxid-135 : Derusting and descaling at low temperature. Specialty non-silicate stabilizer for Hydrogen Peroxide bleaching liquors to regulate the rate of release of oxygen for optimal whites on cellulose materials and for savings in consumption of peroxide. Acid cleaning is a process to remove the films of oxides and scales in the surfaces which does not require any further coating. It mainly removes inorganic substances on the surface. Alkali cleaning dissolves grease, oils, fats, and protein based deposits. 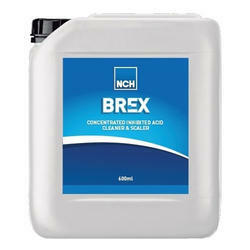 Toilet cleaner, Floor cleaner, Glass Cleaner, White phenyl, Black Deoderant. 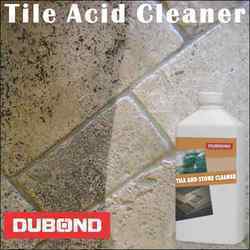 With wide experience and knowledge in this field, we provide our esteemed clients this supreme grade Toilet Acid Cleaner.